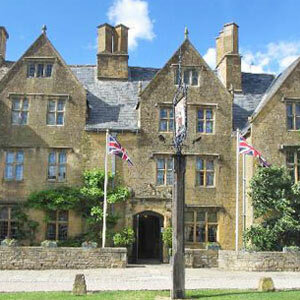 The Lygon Arms Hotel situated on Broadway High Street is steeped in history. It is intriguing to think that, during the Civil War, Oliver Cromwell actually spent the night at the Inn the night before the Battle of Worcester, while King Charles I had previously used the building to meet and rally his royalist supporters. The street through Broadway was an ancient 'ridgeway' and the main road from Worcester to London. It is a wide street or 'broad way' hence the name. The village also has an interesting artistic heritage which includes some well known artists, writers, and performing artists such as William Morris, John Singer Sargent, Francis D Millet, J.M. Barrie and Mary Anderson. The furniture designer Gordon Russell grew up in Broadway and had a workshop here - we now have a great Design Museum. Often referred to as the 'Jewel of the Cotswolds', Broadway lies beneath Fish Hill on the western Cotswold escarpment, in the county of Worcestershire and close to the border of Gloucestershire. Broadway is just 2 hours from central London and is also within easy reach of such places as Stratford upon Avon with its Shakespeare Theatre, Warwick with the finest medieval castle in England, Regency Cheltenham, Oxford with its University Colleges, and Bath with its Roman Baths. At the heart of England, The Cotswolds is the largest of 40 Areas of Outstanding Natural Beauty (AONBs) in England and Wales, known and appreciated by visitors from all corners of the world. Broadway lies on the Walking Trail "The Cotswold Way" which runs from the market town of Chipping Campden to the City of Bath. 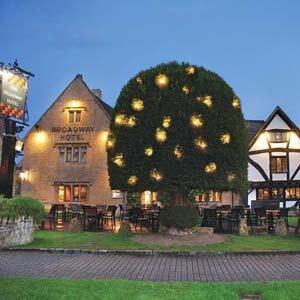 Subscribe to Broadway Cotswolds with your email address to receive news & updates. We respect your privacy.